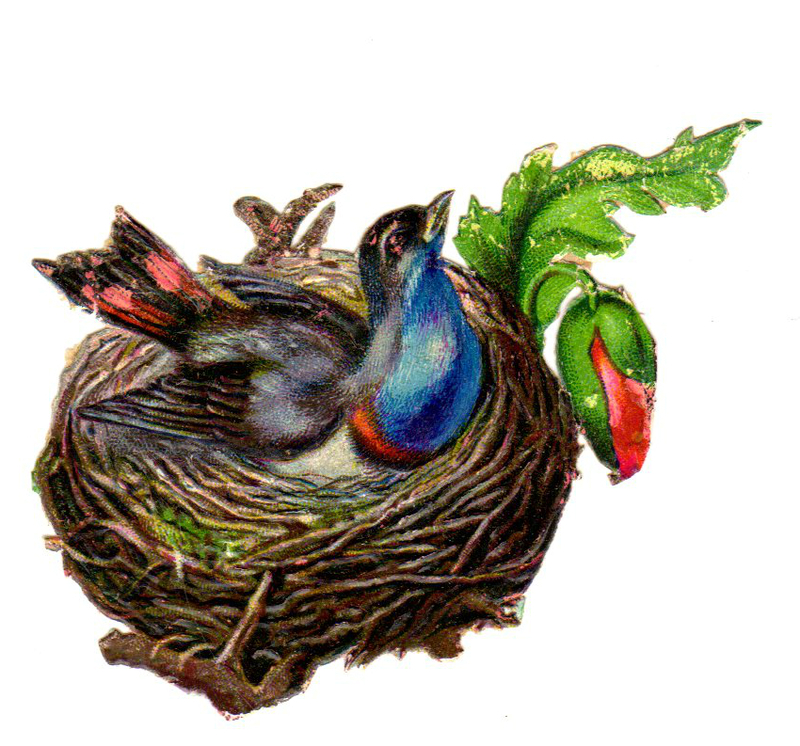 This is a copyright-free vintage illustration of a colorful bird sitting in Its birds nest. This image was scanned and uploaded from my own personal collection of antique images and vintage die cuts. You may use this image in your personal, commercial, and educational projects without permission. A link back to this site, FreeVintageIllustrations.com is required if you post this image on your blog, social media pages, or any other web page.